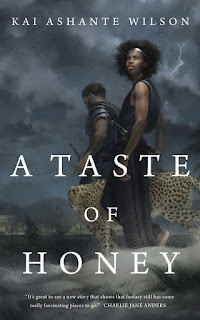 Despite working in the difficult and often-overlooked novella length, Kai Ashante Wilson has been stirring up increasing excitement and praise from the top tiers of writers, editors, and readers. Last year's The Sorcerer of the Wildeeps blew readers people away with its inventiveness and energy, and A Taste of Honey is an even greater achievement. Set in the same world as Wildeeps, A Taste of Honey follows a young man of privilege who falls in love with a foreign soldier. Alternating chapters between the ten days of their frenetic romance and slices of Aqib's life years and decades afterwards, Wilson packs an astonishing amount of character and relationship into this slim volume, while also masterfully sketching the outline of a fantastic and magic-filled world. The world-building is delightful, the structure and plotting excellent, the characters immediately resonant, but what sticks with me most from A Taste of Honey is Wilson's use of language, both narratively—where he moves from invisibly descriptive to concisely insightful—and in his dialog, which captures an energy and a believable complexity almost unmatched in fantasy. Where The Sorcerer of the Wildeeps was essentially a single anecdote, a non-stop thread of one adventure, A Taste of Honey stacks up episodes throughout Aqib's life to give one a sense of consequence, of weight to decisions, and of character changes accrued through the slow process of maturation as well as those few pivotal choices. However, these glimpses of Aqib the man as he ages are balanced by the chapters set in the ten days of his encounter with Lucrio, giving us a detailed look of the character as a young man. Aqib is a very privileged younger son of a family connected to royalty. In Olorumi, that not only means he has access to wealth far beyond the common reach, but also that he shares a bloodline with the divine: members of Aqib's family can manifest supernatural powers. In Aqib's case, and very usefully for the keeper of the royal menagerie, those powers include being able to understand and talk with all manner of beasts. One of the semi-comedic delights of the story is the occasional interjection of translated animal-talk, with Wilson restricting this to an enchanting and fairly believable level. Aqib is concerned with himself, his family, his love for Lucrio, and not with matters of politics or power—so we see only the edges of this system of magic and religion. There are apparently living gods, who look (mostly) human, and in the brief discussions of the divine the reader catches sight of systems that actually seem non-supernatural: advanced mathematics and technology, not magic; hints of an ancient decline or fall. This is compounded in a slightly ironic social reversal—math and science are the domain of women only in Orolumi, with Aqib and other male characters turning a deaf ear to such "feminine matters". These touches of the supernatural—both ethereal and implied in the glimpses of the gods, and concrete and immediate in the powers of their demigod descendants—make for one of the coolest fantasy worlds I've visited in a while. The word I kept thinking was "enchanting"—there's just enough magic that it feels fresh and interesting, and there are hints that there's a lot more out there than we're seeing (the Daluçan gods, for instance, which are giant non-humannoid creatures). Wilson doesn't simply lay out a "this magic is really technology" scenario, but plays with our awareness of the trope to keep it interesting; in many ways the world-building here reminds me of planetary romances, space fantasies like early Le Guin. 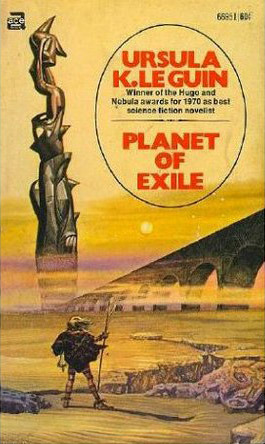 There's a richness of culture to Wilson's world that reminds me of, again, of some of Le Guin's work, and comparisons to Samatar's Olondrian novels would not go amiss. Wilson's world-building is deft and compact: in a work of this length there's no time to explain things exhaustively, but he drops just the right amount of detail to evoke an entire culture. It's less sketches of something unfinished, and more like using a telescope on a painting a few feet away: the buckles on Aqib's sandals reveal the inequality in his city; passing comments on the Cousins and the Blessed hint at a complex tangle of politics, magic, religion, and family. The human element is what shines here. Character sketches are brief, perforce, but the brilliance here is in how Wilson makes these characters resonate by drawing their relationships, their desires and feelings and ambiguities towards each other. We don't know much about Lucrio, but his attitude towards Aqib—and his departed lover—tell us much about him. Even Aqib, central as he is, is only presented to us in flashes. We learn him through his attitude towards his daughter, the way his relationship with his wife changes through the years, and most especially how he chooses to act when torn between Lucrio and the codes of his family and society. The critique of class and sexual mores is one of the things that sets this apart from many fantasies. Without devolving into preachiness, A Taste of Honey is able to highlight problems of material inequality—by foregrounding our own protagonist's blindness to the issue—and the way that homophobia is rooted in concrete social interactions (here, the way Aqib's life is controlled by his father and brother) as well as more abstract laws written and unwritten both. While it adds a few more layers as it progresses, the story is primarily about Aqib and Lucrio's relationship, with their physical and romantic intimacy juxtaposed against the larger social context. Lucrio brings an outsider's perspective to the story, revealing the extent of Aqib's sheltered naiveté, and his speech—polylingual, occasionally dropping into vernacular dialects—demonstrates the richness and complexity of the world, a milder version of the unexpected vocal dexterity that jumps out in The Sorcerer of the Wildeeps. Furthermore, while Aqib is initially taken with Lucrio's body, later with his combat skills, it's his emotional strength, the power to say difficult things aloud, that most impresses. This story is rife with unexpected emotional punches. I don't typically read for romance, but Wilson packs Aqib & Lucrio's story with the feels—twitterpated attraction, the loss haunting Lucrio, the fear and stress Aqib feels as the deadline approaches. The continuing story layers on the nuance, and while the point of view backs away a little—mirroring the distance Aqib has cultivated in his life—his relationship with his daughter is very affecting. And then that ending! 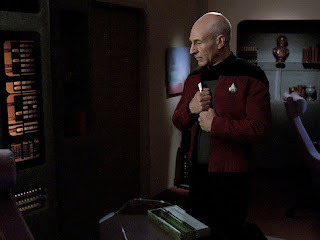 Wilson takes a trope that could have been a cheap gimmick and instead makes it a moment of real poignancy; the only thing I can think to compare it to is TNG's "The Inner Light". 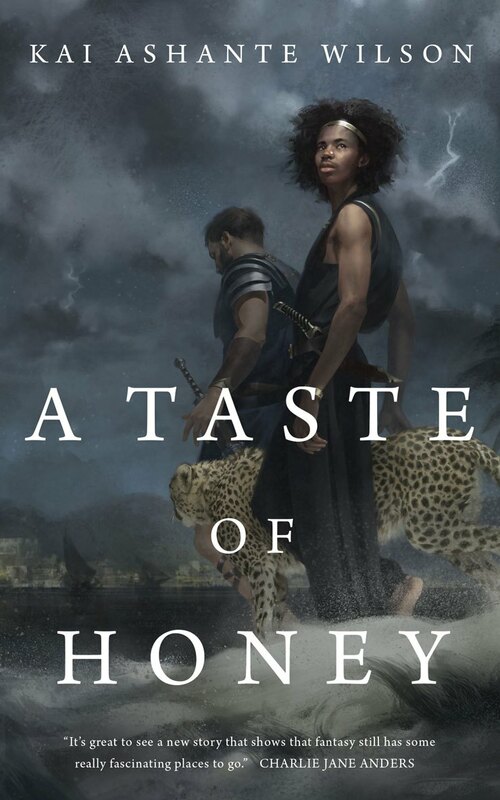 I give this my most enthusiastic recommendation—A Taste of Honey will please SF/F readers of many different stripes. If you have read and enjoyed it, you should also check out a (slightly tonally different) short story about Aqib & Lucrio on Tor.com.